A mining geology forum was opened today in the lead and zinc mine Sase in Srebrenica. This is the first of its kind in Bosnia and Herzegovina after the breakup of the former Yugoslavia, and will allow experts to examine perspectives of the development of mining as one of the most promising business sectors in the region. The forum was opened by Petar Đokić, Minister of Industry, Energy and Mining of Republika Srpska. The organiser is the company Gross that manages the Sase mine and whose majority owner is the British company Mineco Limited. “This is an opportunity for all eminent experts in the fields of mining and geology to meet in one place, and to exchange ideas and experience in the course of three workshops”, said Bojan Popović, Mineco’s director, to journalists. He declared that Gross and Mineco would like to contribute to the development of mining in this way, not just in their own mines but in a broader sense in the whole region. The Sase mine is the largest underground mine in B&H. Mineco has been investing in it for ten years, and it is now achieving excellent results, said Popović. At the opening of the forum, British ambassador Edward Ferguson said that since his arrival in B&H last year, he has been engaged in developing and implementing the EU’s new strategy for the country which is why he has been emphasizing the need for economic reforms that can encourage employment and investment in the private sector. “It is satisfying to see an example of how the British investor Mineco achieves success in the field through excellence in management”, said Ferguson, adding that Mineco is currently investing USD 4.5 million in increasing production at Sase alone. In his view, Mineco’s work in the mines of B&H positions the UK as the second largest investor in the country after Russia. At the opening of the Forum Minister Đokić also commended Mineco’s commitment to investment in Republika Srpska’s mining industry and its overall development. “We have vast unexploited mineral resources and great potential for the development of the mining industry in Republika Srpska. The Government will therefore continue to support such investments”, said Đokić. According to his statement, the Forum is an opportunity for experts to exchange experience that will help improve the mining sector and develop its strategically. Dominic Roberts, COO of Mineco Ltd., said that the company intends to continue investing in B&H and Serbia, since this region is rich in mineral resources and non-ferrous metals. He added that all the company’s mines use the latest technology and that all investment is accompanied by investment in environmental protection, at the level of the highest European standards. 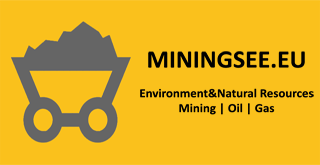 Besides being majority owner of the Gross mine Sase, Mineco is also working on the rehabilitation of the lead mine in Olovo in the Federation of B&H, while in Novo Goražde they are investing in prospecting for antimony deposits. In Serbia, Mineco is the majority owner of the Veliki Majdan lead and zinc mine, the zinc mine near Gornji Milanovac and the Bosilegrad lead and zinc mine, which is currently undergoing infrastructure works.